Our beautiful Kindergarten celebrated 70 years of operation in 2014. 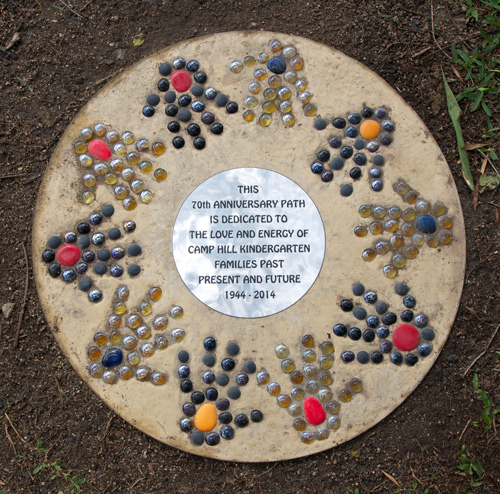 It has not always been on this site however the Centre has always relied on the commitment and foresight of our community to provide and maintain this oasis for Early Childhood education. Established in 1944 in the School of Arts building the Kindergarten has served many generations of local residents as they provide their children with the first educational experience outside the home environment. After the Second World War, the Kindergarten Committee at the time tried unsuccessfully to obtain land on which to build a Kindergarten and instead purchased a house at 629 Old Cleveland Road to operate out of. The Kindergarten was a successful community facility and in the 60’s the dedicated committee members again sought to find land to build on. After a proposal to build a single unit centre on Henderson Street fell through the present site was decided upon and in 1964 building began on a double unit centre. The first Kindergarten on Wiles Street was completed and opened in 1965. While the community support for the Centre remained strong, the structural foundations were shifting and it was necessary to rebuild the Kindergarten. With overwhelming financial backing and the commitment of the parents at the Kindergarten, the current building was erected in 1989 to replace the first Kindergarten facility. We are very proud of the heritage of Camp Hill Kindergarten and the fact that the building, and the past and present families at the Centre continue to give of their time and energy to ensure future generations can enjoy this wonderful community facility.